The Veterans and Military Business Owners Association (VAMBOA) is proud to announce it will be participating in the 30th Annual Department of the Navy Gold Coast event, the premier Navy procurement conference in the country. 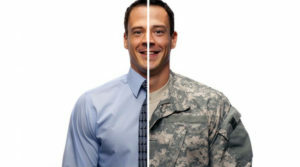 VAMBOA, the “go to” association for Veteran and Military Entrepreneurs, is a 501(c)6 trade association that focuses on connecting Service Disabled Veteran Business Owners (SDVBO), Veteran Business Owners, Military Business Owners and Military Spouse Business Owners with corporations that value a diverse supplier network. The non-profit will exhibit at booth #117 on August 7th and 8th at the event location, the San Diego Convention Center, 111 W. Harbor Drive, San Diego, CA. There are not any fees to join VAMBOA. Gold Coast 2018 provides a forum to educate, guide, and assist businesses, large and small, in support of the warfighter mission within Department of the Navy and throughout the DOD. The event provides exciting and relevant topics delivered by government and industry experts, as well as providing insightful panels, workshops and networking events. For those unable to attend the conference, Debbie Gregory invites them to email her at dgregory@vamboa.org.